CRICKET: Victoria Hill is the only club training twice a week in this season's Condamine Cup competition in Warwick. Captain Tony Morris said the team trained on Tuesday and Thursday afternoons at Allora. "The boys are loving it,” he said. Morris is captain of a club where he played his first cricket as a teenager. 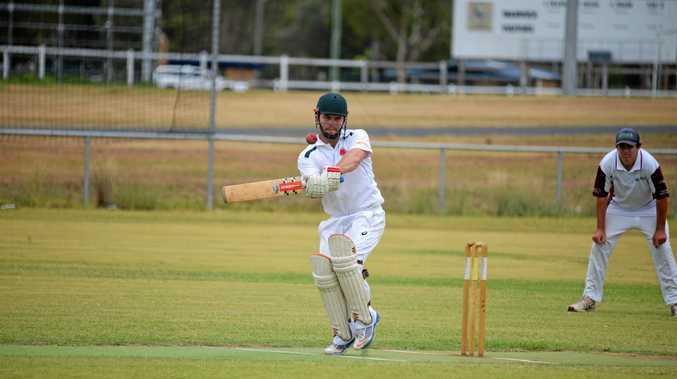 He made a comeback 15 years after playing his last cricket for Wests in Toowoomba. "I was in the Victoria Hill team with my dad Len until the team folded and then played two seasons for Dalrymple in the Back Plains competition,” he said. Morris has a team including his son Jack, 16, and four of his nephews, Alex, 24, Nick 22, Joe 21 and Tom 20. "There are three Duffs in the team, Will 24, Mitch 22, and Ben 19. Their father Malcolm played for the old Victoria Hill side and is the current Victoria Hill club patron,” Morris said. Victoria Hill has a squad of 18 for its return to competition cricket. Wheatvale will be without last season's captain Paul Cantwell for their game against Allora at Allora. This season, Carter Bilbrough and Jonno Colfs are sharing the captaincy. Draw: Today: 12.30pm Allora v Wheatvale at Allora; Colts v Redbacks at Slade Park. Tomorrow 10.30am: Victoria Hill v Sovereign at Allora.